If you are searching for a Scottish Fold rescue shelter, this is the page where the shelters can tell about their work. 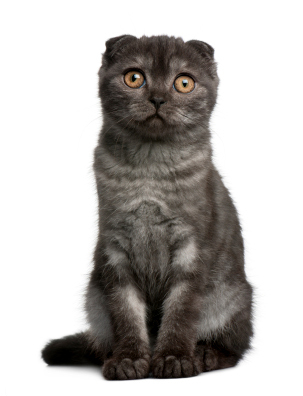 There are long waiting lists for Scottish Fold kittens because of their endearing looks and charming personality. But have you considered the option of offering a home to a rescued Scottish Fold cat? This is a breed that adapts well to new circumstances, so it is more than likely that your new adopted rescue Fold would be the perfect cat for you. There are many reasons a Scottish Fold ends up at a shelter. Their owner may have passed away, or someone in the family is allergic. They may wander off - or, of course, really be cruelly abandoned. It is so important to really think what a responsibility it is to take a cat into the family. It might live up to 15-18 years of age! So it is not a light decision to make. Also check if the reason for the cat to have been abandoned is congenital osteodystrophy. In this case the cat will need regular veterinary care. You can read more about the condition on this page. Below are arranged those rescues which have made a page for themselves, according to location. If you are reading this and represent a Scottish Fold rescue shelter, use the form at the end of the page to build your own page. This is a free service - you page will appear just as you like it, I will not change the information unless you send me a message asking me to do so. Do not forget to add your website link. The page will have a permanent address you can distribute. Do You Run a Scottish Fold Rescue? Do you have a Scottish Fold rescue? Please spread the word and help those lovely cats find new forever homes.